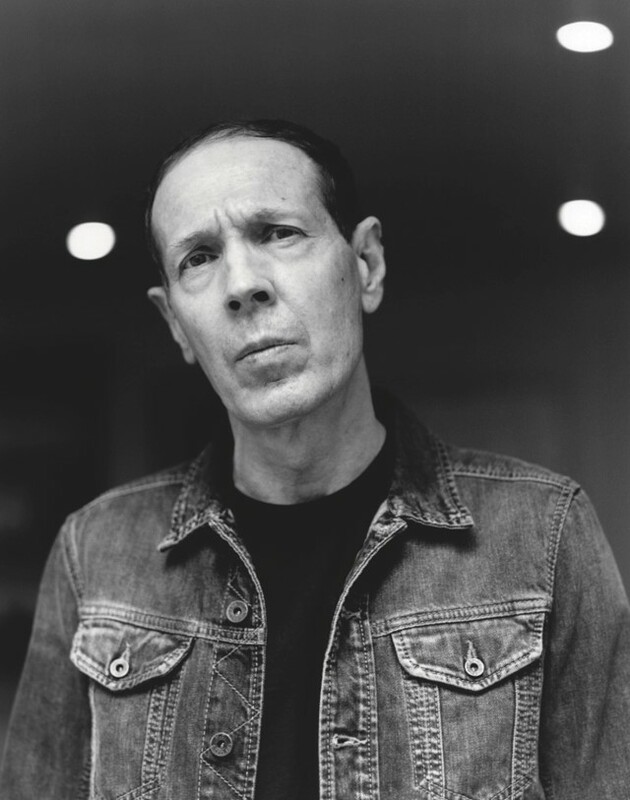 Scott Walker, the legendary songwriter and composer, has died aged 76, his record label 4AD confirmed today. This interview with the avant-pop outsider was one of 20 Q&As published in our October 2011 issue to coincide with Dazed’s 20th anniversary. You can buy a copy of our latest issue here. It’s all a long, drawn-out and guttural cry from his beginnings as one third of clean-cut 60s pop crooners the Walker Brothers, responsible for such hits as “The Sun Ain’t Gonna Shine (Anymore)”. American but based in the UK since 1965, the enormously influential and respected Walker has long been mythologised as a reclusive enigma with a deep fear of live performance, although he insists that he really just likes his privacy in which to work. With rumours circulating of current recording activity and even a new album, Dazed mounted an expedition to the outer reaches of the avant-garde to bring back this rare despatch. Scott, we are excited to hear that you will be back with new material, perhaps as soon as next year. Can you tell us anything about it? Scott Walker: If you’ll indulge me, I’d rather not discuss the new recording as it is still ongoing. One lives in hope. Scott Walker: They can be, but they can also be deliriously temperate. The only thing I generally require is that the musicians have a sense of humour. I mean, life and attempting to bring the work off is hard enough. Detractors of your more recent work point to the unrelenting horror and misery, but I argue they miss its humour. Would you agree your work always retains a fundamental sense of its own absurdity, in the best possible sense? How ‘real’ is the extreme emotional content of your work, and how much is performance? You collaborated with Aletta Collins on the score for Duet For One Voice, although you said you were not an admirer of the original Cocteau play. How do you approach working on something when the source material is not agreeable to you? Scott Walker: I only agreed to participate because it was Aletta, and on the understanding that we could turn the piece on its head by losing the misogyny and bringing it into the 21st century. The ‘Drifting And Tilting’ performance at the Barbican brought out how intensely theatrical the works on these two albums are. When you write songs, do you see them in your mind as visual tableaux? Scott Walker: Yes, I’m a big visualiser when writing. When I designed the sets for the Barbican, I tried to bring some of that to it, but since it was staged quite a while after the recordings, things obviously altered here and there for good or ill.
You have not performed live for many years, but at the ‘Drifting And Tilting’ performances, you did acknowledge the crowd’s applause from the sound desk. Did these performances go any way to repairing the ‘damage’ you have spoken about regarding your feelings about performance? Scott Walker: Things were so primitive when I was performing. I simply could never achieve the results I was after. It was all quite traumatic for me as a young man. Things have changed dramatically. Great, loud sound systems, better players, more imagination, etcetera. Who knows? Maybe one day I’ll surprise myself and actually walk out on a stage again. You produced Pulp’s 2001 album We Love Life – they recently reformed, and will be recording again. What are your memories of working with them, and what do you think of today’s tendency for bands to reform? Scott Walker: They were great to work with. Very funny. Very easy. Jarv’s still a great and trusted friend. Bands reform for all kinds of reasons, so I’d rather not comment. Would you produce other bands? Scott Walker: I’m always interested, providing the match is right. You sang a duet with Bat For Lashes on her last album. How did this collaboration come about, and what were your thoughts on the results? Scott Walker: A beautiful, creative young woman asks you to sing with her. Can’t be bad. I don’t generally hang around for results. You produced the score for Pola X – how does writing a score relate to your album work, do they fulfil different artistic needs? Will you do more work in film? Scott Walker: It’s another thing. You’re at the service of someone else’s images and that’s the key to a successful score. If you are doing it that way around, as opposed to the Leone/Morricone way, which is also relevant. I would like to do more film work, as I feel I understand so much more now. We’ll see. Scott Walker: This is difficult, as I haven’t been to America in many years. If I could compound the time spent there since 1965, taking into account brief visits, funerals, etcetera, it would probably add up to three months, so it’s as interesting and strange to me as it would be to any British person living here. From this side of the abyss, it seems fascinating and appalling all at once. I voted in absentia for Mr Obama. It feels like he’s losing the battle at the moment. Feels like a great shame. How do you feel the cultural landscape in the UK has changed in the last 20 years? Has it become more or less accepting to an artist such as yourself? Scott Walker: I can’t, of course, speak for everyone, but the country has definitely become more accepting of my offerings. I had a vacuous decade in the 80s where I lost some traction, but I think it probably helped the work. There was a gap of 11 years between Tilt and The Drift, although you worked on other projects. It will then be at least six years before your next album. How do you deal with such a long period between these statements? Or does it just happen when it happens? Scott Walker: No. I have to make the effort. I’m somewhat given to prevarication. The waiting game is very important though, so you must be patient. Are you ever pleasantly surprised that a record label continues to allow you to put out the music that you want to? Scott Walker: Pleasantly surprised? I positively tingle. Especially given the current state of affairs. I was very fortunate to hook up with them (4AD). A friend suggested your musical career is progressing like Samuel Beckett’s literature – gradually becoming more bleak and pared-down until it’s no more than a disembodied mouth in the dark. Are there any other artists whose work you consider analogous to your own? Scott Walker: No one springs to mind. At a stretch, maybe Tom Waits – although content and approach are radically different. Did you feel that the 2006 documentary 30th Century Man was an accurate portrayal of yourself? As a private individual, what made you agree to be the subject of a major film? Scott Walker: I’ve never seen it. Couldn’t bear staring at my mug for that long. I agreed because Stephan Kijak is very persuasive, and I was impressed with his previous work. Also my management kept pestering and reminding me (as if I needed reminding) that I could die at any time, and only a very few would have heard of me, or my work. It is said that once you have finished recording your songs, you don’t listen to them again. Is this the case, and if so why not? Scott Walker: Well, after you’ve spent what is probably too much time writing it, producing it and singing it, you’ve pretty much had the ride. There is a limit, after all.